Bride to be, future wifey, current fiancee! 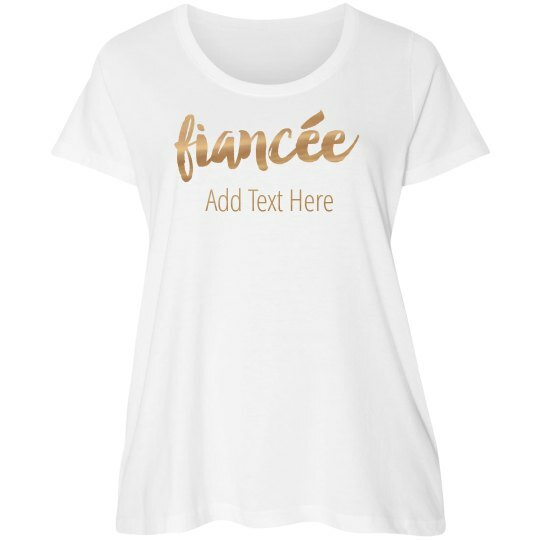 Customize a cute, flowy metallic t-shirt to wear to your bachelorette bash! You've only got one more night as a single lady, it's time to live it up! Add your own text to give this tee a custom look.